July 8, 2013, 12:18 p.m.
Can Oregon Public Broadcasting, working with local newspapers, TV and radio stations, and bloggers, make a substantial state news report in the face of cutbacks elsewhere? By Jan Schaffer @janjlab July 8, 2013, 12:18 p.m.
You can read the full report online, but we’ll be pulling out some of the most interesting elements from it here at Nieman Lab over the next few days. First up: the early days of a new kind of news network in Oregon. In March 2013, Oregon Public Broadcasting (OPB) hired a former Associated Press reporter to undertake an ambitious vision: build a robust statewide news network with OPB as the linchpin. For her first several months, Julia Silverman, OPB’s director of content partnerships, has been traversing the state, talking to nearly every daily, weekly, tribal, and college newspaper, television station, and blog. Her goal: persuading some 40 to 50 news outlets to partner in sharing their content with OPB and its media partners while using shared stories themselves. “I really regard this as a startup,” said Morgan Holm, OPB’s senior vice president and chief content officer. OPB joined with the Oregon Community Foundation and in 2012 snagged a $300,000 grant from the Knight Foundation’s Community Information Challenge program. OPB and the community foundation raised funds to match the grant, and the infrastructure for a collaborative statewide news network has begun to take shape. 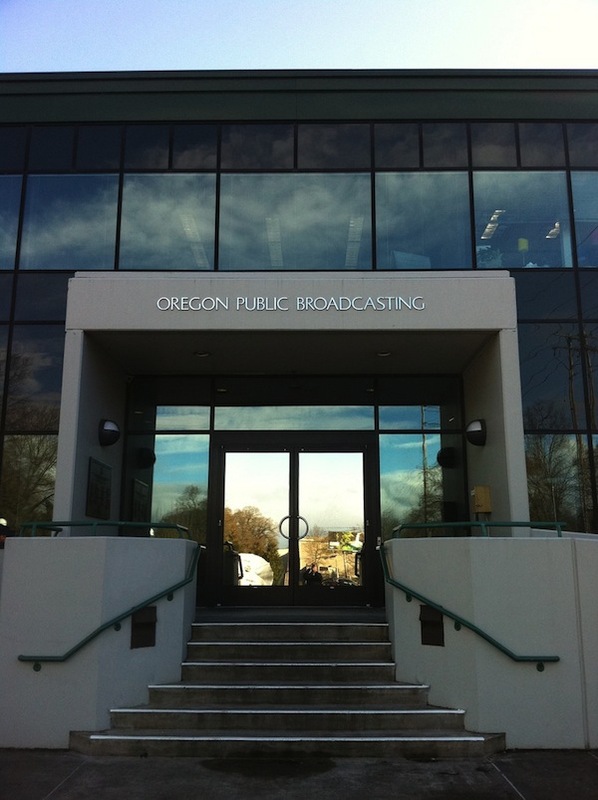 OPB is a key player in a well-established news partnership with public radio stations in Oregon, Washington, and Idaho. The Northwest News Network provides coverage around the region and includes a state capitol correspondent in Salem. Coverage of environmental and energy issues comes from EarthFix, an OPB-led collaborative funded by the Corporation for Public Broadcasting. OPB must find support to continue it in the future. She views her mission as not just focusing on the state’s metro papers, but also the smaller newspapers who are not AP members but may have a great story that “doesn’t travel.” Or the AP might not put it on the wire until a couple days after it’s been published. That may involve editing, say, a 900-word story into 300 words for space-challenged newspapers. She will also be editing OPB staff content, much of it written for radio, for print publications. The last piece, she said, is to take partner content and turn it into radio spots that can be read on the air. She also hopes to develop a corps of reporters around the state who will get audio training and participate in debriefs. “That’s nice brand promotion for [their] newspapers,” Silverman said. By December, OPB plans to roll out a project website with top news stories from around the state. “We hope it will be a traffic driver to the partner sites as well,” although Silverman concedes the project will have to figure out how to prompt readers to click through on links to partner content. OPB took a cue from Minnesota Public Radio’s Minnesota Today, which curates and aggregates content from public officials, bloggers, and business or industry experts throughout the state, but does not rely on formal media partnerships. OPB began its efforts before paywalls at Oregon newspapers really took off and The Oregonian announced major changes. Now, most of the state’s papers charge customers for digital access, although a majority of the paywalls are metered, giving viewers free access to a certain number of articles before charges apply — “which is good for us,” Silverman said. One chain has a hard paywall, requiring payment to see anything. “They are among the only ones who said ‘no,'” she said. Asked about the pros and cons of partnering, Steve Forrester, editor and publisher of The Daily Astorian near the Pacific Coast, says, “It’s all pro in my book. We’d be foolish not to.” He’s already been collaborating on regular radio programs with his local community radio station. OPB’s efforts occur in a rapidly changing media landscape. The Oregonian announced last month that it would cut home delivery to four days a week and sell only street editions the other three days. It laid off nearly 100 of its 650 employees, including as many as 49 in the newsroom. It also announced the creation of a new company, the Oregonian Media Group, to “expand news and information products” in Oregon and Southwest Washington. In the meantime, he said, OPB is open to any discussions with The Oregonian about supporting “as much strong, original journalism as possible” around the state. Some of OPB’s prospective partners are enthusiastic about a statewide news network’s ability to break through their isolation. Others express concern that they don’t have a large enough news hole to publish more stories. But Silverman tells them their online space is unlimited and they can add state and regional tabs. For now, Holm said, OPB shouldering “a significant commitment.” It is picking up the tab for Publish2’s system of content sharing. It makes it easier to connect various partner content management systems, create feeds for different delivery platforms, and feed content directly into partner systems. POSTED July 8, 2013, 12:18 p.m.
Schaffer, Jan. "With a coming void in Oregon’s news ecosystem, public broadcasting’s trying to build a new kind of state wire." Nieman Journalism Lab. Nieman Foundation for Journalism at Harvard, 8 Jul. 2013. Web. 24 Apr. 2019. Schaffer, Jan. "With a coming void in Oregon’s news ecosystem, public broadcasting’s trying to build a new kind of state wire." Nieman Journalism Lab. Last modified July 8, 2013. Accessed April 24, 2019. https://www.niemanlab.org/2013/07/with-a-coming-void-in-oregons-news-ecosystem-public-broadcastings-trying-to-build-a-new-kind-of-state-wire/.